You rely on your appliances for so many daily tasks. 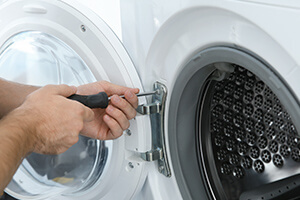 When your washer or dryer is on the fritz or your refrigerator isn’t keeping things cold, you need appliance repair you can trust. Neighbourly has skilled technicians who offer services for all kinds of kitchen and laundry appliances in your home or business. From refrigerator repair and trash compactor maintenance to dryer vent cleaning, your appliances will be in good hands.